We require 25% prepayment maximum after 2 weeks from the moment of booking, next 25% 1 month before the arrival. Remaining amount we will required till the arrival day..
Hostel offers 10 different rooms on 3 floors, most of them having private bathrooms. 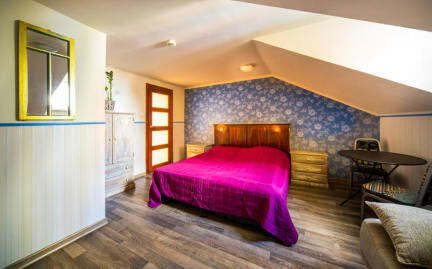 In addition for the more demanding guests property recommends private apartments located in the old part of Warsaw (around New Town, Old Town and Mariensztat). Apartments have been completely renovated and equipped. Guest can choose between studios and 2-room apartments. Best in services by far! Can't comment on the hostel itself as we stayed in the apartment. It was in a great location in the centre of the old town within easy walking distance of everything you could need. The staff were friendly and helpful and check in and out extremely easy. The apartment was clean and had all the amenities we could require with plenty of plug sockets, good WiFi and a great shower. Very highly recommended. Location could not have been better! Old Town Square is beautiful and this is steps away. Cons: It is not a very social hostel and it doesn't have A/C, so I was quite hot trying to fall asleep. Overall, great value and would stay again. Was in a great location. The only down side was there was not any common space to hang out or relax. So if you have to check out you can leave your things but you can’t really chill. It’s a bit of a walk or tram ride to the bus station but it’s not too bad. Depends what you want to do. There is no kitchen or common room so the atmosphere isn't great. The receptionist was really nice. It's clean but with common showers. No soap or towels though. Great location. The room was good and the beds were comfortable. Staff so kind and helpful in general but we also had some personal trouble while here they were so helpful! 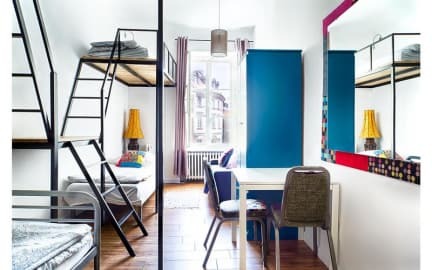 No kitchenette/common area if you're a solo traveller I'd maybe give this hostel a miss. And security a bit lack (non of the doors lock automatically) but they do provide you with a locker and a key! So so close to everything you need in Warsaw location was definitely best thing about this hostel! Toilets and showers also good and clean. Room was fine, location was good. However, when we arrived as a group of 11. We were told we had to stay in separate buildings. This wasn’t acceptable as we obviously wanted to be together, and that’s what we booked. Thankfully, The following day, we were all moved to the same building. The bathroom completely stank, almost unbearable. Came back very itchy, assumed from the bed. More time needed cleaning the apartment. Unclear how tv works, instructions would be good.